Welcome to our site... a multitude of programs for youth and adults. Check out our summer camps and our team camps for 2019!! We have a youth program for your needs...beginner to advanced club level player. We offer camps, clinics, lessons, lil diggers, leagues and so much more. 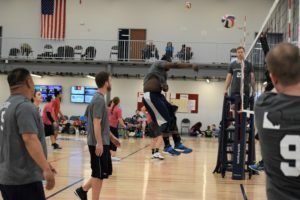 We host adult leagues year round. There is a wide variety of levels to choose from. Play 6s or 4s, Men's, Women's or Coed. Sand volleyball for both adult and youth. Tournaments, leagues and clinics are offered April through Sept. Play doubles, 4s or 6s. Have an event? Our facility is 50,000 sq feet with a 37,500 Sq ft hardwood floor. Available for tournaments, receptions, banquets, corporate events, and more. I think this was my first time to TVA. I WILL say I was so IMPRESSED! Very nice facility. Clean, new, bright, plenty of space to get around when walking along the sides of the courts. Nice little gift/food shop. Yes, I was very impressed! Amazing new facility and even more impressive coaches. 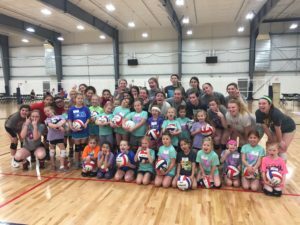 Deb and her team provide excellent volleyball instruction for all levels and ages. The best part of this program is the positive approach taken during all practices, games, etc. 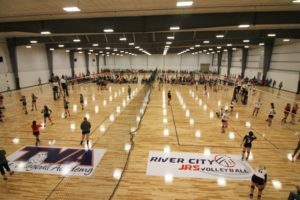 Best place for volleyball in Omaha! Great clinics! Knowledgeable staff! Well organized. Love TVA! Love Krista and seeing her smile at the front desk when we arrive and depart. She knows how to run a great tournament!! My older daughter has learned so much and gained so much confidence in just the 2 months we have been doing all skills, and my youngest just loves all the coaches. Both girls look forward to Wednesday nights at TVA! Deb is amazing and so are the people she surrounds our girls with! My daughter improves every season, love it here!